I was recently asked this question. Today is part two of my “Theology for Kids” series. Part One: The Parent’s Role can be found here. God Himself tells the Israelites how to talk to their children about Him and His Word: frequently and thoroughly. This concept easily extends to us, and we can use this as a guide for talking to our own children about theological things. God commands parents to teach “these things” diligently. “These things” are defined in the earlier part of Deuteronomy. Essentially God is talking about what becomes the Scriptures – His Law. That, of course, becomes part of the entire canon of what is now our Bible. If you’ve never read the early part of Deuteronomy, I encourage you to stop and do so right now. God has given his Law, which explains who “I AM” is, to Moses, who has handed it down to the people. He is now encouraging them to teach it to their children diligently. Mirriam-Webster defines “diligently” as characterized by steady, earnest, and energetic effort. Teaching your children about God takes effort – energetic effort. It is not something that happens accidentally or by happenstance. God commands us to teach our children about Him diligently. With effort. Energetically. Enthusiastically. Earnestly. With steadfastness. But God doesn’t give us random commands we aren’t capable of following. He follows up this command by telling us how to teach our children diligently. I’ll be the first to admit that “God talk” doesn’t come naturally, probably because we are sinners. 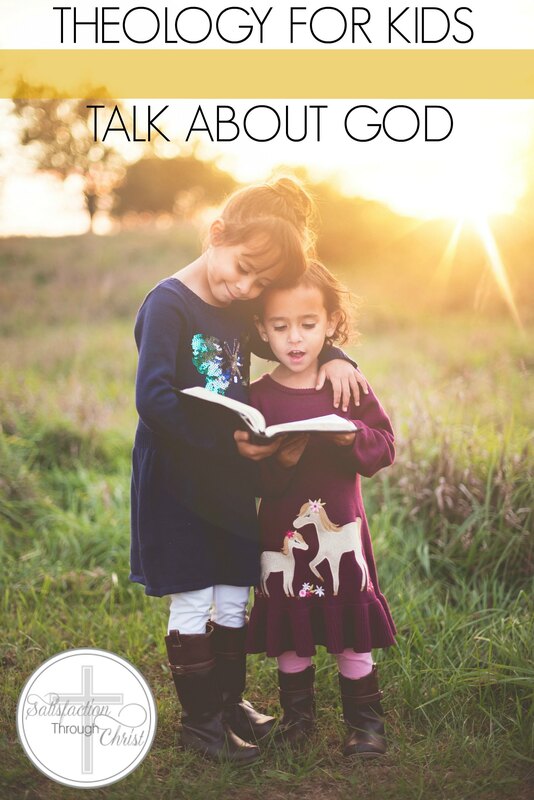 Yet if we want our children to develop a biblical worldview, this is the best thing we can do for them: talk to them about God all the time. What am amazing encouragement! All we need to do is open our eyes and begin to really see God’s glory and grace. Then we just point it out to our children. And again, I am the first to admit that this does not come naturally.Your child points out a bug, a cloud, the way the light is streaming through the window and the dust is dancing around…your first thoughts are probably not to aim him toward God’s creation. Look at the that bug! Isn’t it amazing how God created their shells to protect them? Look at that cloud! Isn’t it amazing that God created clouds in the sky for so many reasons? You should apologize to your friend for being mean. God tells us to love one another, and to treat one another how we want to be treated. You really should forgive her for saying that to you. God tells us He forgives us because we forgive others. I know you’re angry right now. Anger isn’t a sin, but you can easily sin in your anger. Let’s talk about positive ways to manage your anger, and maybe look at what the Bible says about when it’s okay to be angry. I know you’re scared right now. Hey! Did you know the Bible says 365 times “Do not be afraid?” Why do you think that is? Now, I will also be honest…you have to have knowledge of God in these situations. You cannot teach your child about someone you don’t know. This will also take practice. Your words may be awkward at first; you might stumble over your own tongue. I suggest starting as soon as they’re born 😉 Barring that…begin today, my friend. Start working God into your daily conversations. It will become more natural as time passes. But here is where I issue the warning. Next will come the questions…and that will be next week! 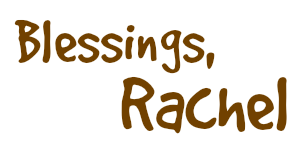 Rachel is the wife to a hard working truck driver, and a homeschooling, stay-at-home mom to one energetic seven-year old boy. She is a theology nerd who loves Jesus, reading, and sleep, in that order, so she relies on copious amounts of tea to get through her day! Visit her blog at danielthree18.com, or on Twitter @danielthree18. Great Biblical advice, Rachel ! Keep up the good work!